It's that time! 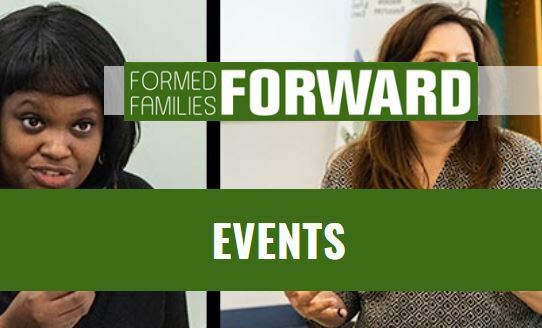 Registation for our 6th annual Spring Forward Family Fun Day and Regional Conference is now OPEN! Spring Forward will be held Saturday, April 27 from 8:30am to 2 pm. This year's theme NAVIGATING SYSTEMS TO BUILD STRONGER FAMILIES reflects some of the challenges many adoptive, foster and kinship families face in securing critical services and supports. We are excited to share great tools and solutions that really work. We have great new and improved features to make this year's Spring Forward the best yet. First, we will be at a new location. Thanks to a new partnership with the Training and Technical Assistance Center at GMU, Spring Forward will be held at the GMU Science and Technology Campus in Manassas.This allows our children and youth to participate in structured experiential outdoor activities at The EDGE, right on the GMU campus. Second, we are thrilled to welcome keynote presenter Ms.Wendy Besmann. Wendy is a veteran special needs mom and author of Family Road Map: A Step-by-Step Guide to Navigating Health, Education and Insurance Systems for Families with Special Needs, a super user-friendly guide to empowering families to take charge of their children's services. All registered families and professionals receive copies of the Guide. We have also added a professional track for social services and education professionals. Participating professionals will gain skills, resources, and practical strategies for supporting families. Social work continuing education hours are available to those who attend a half-day workshop. So mark your calendars now and register at EARLY BIRD RATE for this don't-miss day of fun and learning. Tuesday night peer support groups. Stronger Together peer groups are ongoing through May. Clinical professionals facilitate our youth/young adults, as well as separate parent/caregiver groups. LEARN MORE and REGISTER NOW. pm, join Youth MOVE (Motivating Others through Voices of Experience) Virginia for a Young Adult Retreat, a great opportunity to connect with other young adults who believe in the power of sharing their story, peer support and effecting positive change. This retreat, held in Richmond, is ideal for any young adult (ages 18-30) in a leadership position or peer support role who wants to share ideas and network with other advocates in Virginia! This event is FREE to attend and includes breakfast, lunch and refreshments. Travel stipends and lodging are available for those traveling from out of town. For more info contact Amanda Long at along@namivirginia.org or (804) 285-8264 ext. 211 REGISTER for YOUNG ADULT RETREAT HERE. Q: I saw information about a new state report that was pretty critical of the way foster care works in Virginia. What is that about? A: An important research report just released in December raises serious concerns about Virginia’s foster care system. The Improving Virginia’s Foster Care System report by the Joint Legislative Audit and Review Commission (JLARC) studied foster care and adoption services delivered by Virginia’s local departments of social services and supervised by the Virginia Department of Social Services (VDSS). The JLARC researchers conducted interviews with DSS and other staff, collected survey data from staff and foster parents, examined state and national data, reviewed research, among other methods. The full report includes detailed findings and a set of 34 recommendations. A report summary is also available HERE. Voices for Virginia's Children also has a good analysis of the report HERE. Direct VDSS to examine the results of regional consultants’ 2017 and 2018 case file reviews and certify that all safety-related concerns identified in those reviews have been resolved. Direct VDSS to develop and maintain a strategic plan for recruiting foster families and to maintain a statewide inventory of foster families. Direct VDSS to identify all children who do not have a clinical need to be in a congregate care setting and take steps to move them to a more appropriate placement. Establish a standard for the number of foster care cases managed by a single caseworker. Specify VDSS’s supervisory responsibilities for the state’s foster care system and the actions it is authorized to take to ensure local departments comply with state foster care laws and regulations. Require local department staff to routinely search for the relatives of children in foster care and issue clear guidance to local departments on the existing policies that can facilitate the approval of relatives to serve as foster parents. Identify children who have been in foster care for longer than 36 months and provide technical assistance and resources to local departments to minimize prolonged stays in foster care for these children. Develop clear guidance to be distributed to all birth parents on their ability to voluntarily terminate parental rights. We sincerely hope that as recommendations are implemented, leaders work collaboratively with experienced foster families whose voices are too often absent in important policy and practice decisions. Come out of the Cold with these Hot Events! January 16 - The Invisible Disability: Understanding and Identifying Fetal Alcohol Spectrum Disorders (FASD) WEBINAR, hosted by FFF. January 16- Raising Young Communicators, hosted by Loudoun Co. Public Schools Parent Resource Services, Ashburn. January 17- Middle School LifeSkills Training continues, hosted by FFF, at Sherwood Community Center, Fairfax City. January 17- Anger Overload: How you can help your child take charge of his or her anger , hosted by The Sycamore School, Arlington. January 23- The Impact of Childhood Trauma at Home and School: Building Resilience, presented by FFF's Kelly Henderson, hosted by Alexandria City Public Schools Parent Resource Center, Alexandria. January 23- Introduction to Special Education, hosted by Fairfax County Public Schools Parent Resource Center, Dunn Loring. January 27- Summer Camps and Activities Fair, hosted by Arlington Co. SEPTA, Arlington. January 28- Practical Strategies for Supporting a Loved One with FASD WEBINAR, hosted by FFF. February 7- FASD in Schools WEBINAR, hosted by FFF. February 12- ADHD: Diagnosis and Lifestyle Interventions, hosted by CHADD of No Va and DC, Annandale. February 25- Building Connections at Home and School: Key Factors that Build Resilience. A FFF Loudoun Connect session, hosted by the ALLY Center at The Arc of Loudoun, Leesburg. March 9- Transition Fair, hosted by Prince William / Manassas / Manassas Park Transition Council, Manassas. March 19- Parents & Caregivers: Learn to Be a Determined Family Together! I'm Determined session hosted by Fairfax Co SEPTA and CHADD of No Va and DC, Springfield. April 3- Parents and Caregivers: Learn to Be a Determined Family Together! I'm Determined project session hosted by Fairfax Co SEPTA and FFF, Herndon. April 5- Wrightslaw Special Education Law and Advocacy Training, sponsored by The Arc of Greater PW and PWCS, Manassas (fee, must preregister). April 6- Fairfax County Public Schools annual Special Education Conference, Burke. April 6- NAMI of Virginia Family and Youth Leadership Summit, Midlothian. 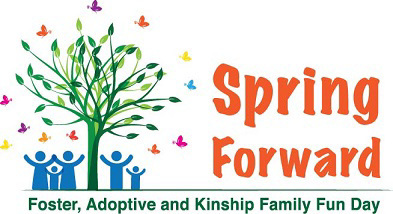 April 27- 6th Annual Spring Forward Family Fun Day and Regional Professional Conference, Manassas. EARLY BIRD REGISTRATION is now OPEN.